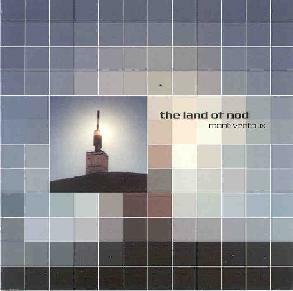 The Land Of Nod - "Mont Ventoux"
The Land Of Nod is a British guitar, bass, and drums band who play a dreamy, ethereal brand of shoegazer styled space music. According to the Silber Records web site they've had 2 full length releases to date (this one is a 23 minute CDEP), though if compilations and singles are included they've actually got a fairly extensive discography. Four of this CD's six tracks consist of beautifully dreamy, slowly developing, guitar excursions. "Altitude" is similar, but with a clear sense of melody. "Sommet" is a simplistic, but soothing acoustic guitar journey. "San Juan Capistrano" and "Anquetil" are a bit more abstract/experimental and minimalist. The former includes various voice samples and minimalist, but totally spaced out sounds. But added to the beautiful chaos is a strange sense of peaceful ambience. "Anquetil" is an equally enjoyable experimental piece with spacey, minimalist looped patterns. Overall, a nice introduction to The Land Of Nod. I particularly enjoyed the more experimental tracks, though the dreamier tracks were screaming out for more extended development and could well represent where the band's strength lies.